Currently, there are 197 colleges and universities with gender-inclusive housing. Last week, the University of Miami announced a plan to join them. Gender-inclusive housing is one of the top items LGBTQ students look for in a perspective college or university. Although the number of schools providing these dorms is growing, many states still do not have any secondary institutions providing living options that support these students’ needs. The University of Miami, located in Coral Gables, Florida, boasts eleven schools serving more than 16,000 students. It was established in 1925 and currently advances over $330 million in research projects and programs, mainly in medicine, marine science, engineering, education, and psychology. In the 2015 U.S. News & World Report “Best College” listings, the university was ranked one of the top 51 universities in the country. But in the Campus Pride Index, the university ranked last compared to its peers in the top 50 schools when it comes to creating an environment that welcomes LGBTQ students. For seven years, Campus Pride, a nonprofit providing services and leadership development for gender-nonconforming students, has researched and published a voluntary ranking of colleges and universities. Each year, the number of schools participating has grown, as have the number of LGBTQ students on campuses. According to a 2013 Pew Research Center study, the median age an individual first feels they may not be heterosexual is now 12; they know “for sure” at age 17, and the median age they come out is 20. According to Campus Pride’s research, LGBTQ-inclusive housing and gender-neutral bathrooms are among the top ten features LGBTQ students look for in a welcoming campus. The University of Miami’s new college president, Dr. Julio Frenk, is determined to lift the school’s Campus Pride Index ranking. In his first town hall meeting, he introduced a plan to develop gender-neutral university housing. “Gender-inclusive” housing, or “housing tailored to the needs of LGBTQ students” is defined as living opportunities allowing students to have a roommate of any gender. 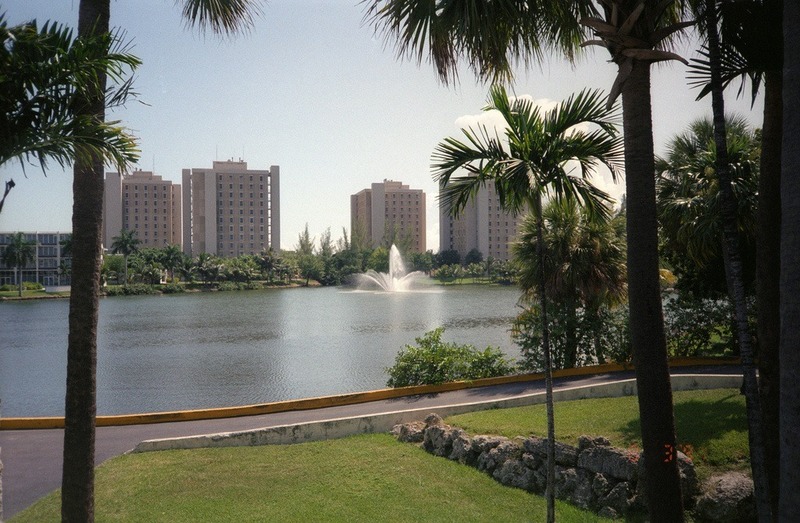 The University of Miami already allows students who choose each other to live together regardless of their gender. Once the dorms open, the university will join four other Florida institutions: University of Central Florida, New College, University of Southern Florida, and University of Northern Florida in offering dorms supporting LGBTQ students. The announcement follows an open letter written to the new president by University of Miami alumnus Ryan Aquilina. In his letter, Aquilina calls on the university to create a more friendly campus for all students, including LGBTQ ones. In the university’s own survey completed last year, three out of ten LGBTQ students reported not feeling safe on campus. The school also lacks comprehensive LGBTQ nondiscriminatory policies. Additionally, it is one of only five of the top 50 universities without a resource center or any dedicated professional resources for LGBTQ students and one of only 15 without gender-neutral housing. Further, a report by the National Transgender Discrimination Survey, published by the National Center for Transgender Equality and the National Gay and Lesbian Task Force, outlines the hurdles many transgender college students face. Eleven percent reported being rejected for or the inability to receive financial aid or scholarships due to their gender identity or expression. Almost one in five study participants reported colleges refusing to provide housing tailored to their needs. And once the student begins college, the challenges continue, including an inability to access health insurance or change their names on university records. Campus Pride’s cofounder and executive director, Shane Windmeyer, believes that universities and colleges want to be welcoming and supportive of LGBTQ students but they often lack knowledge of their needs. Less than five years ago, Elmhurst College in Illinois became the first college or university to add questions about sexual orientation to their college admission materials. While many universities and colleges are developing policies welcoming to all students, the University of North Carolina system banned gender-neutral housing in 2013. The policy blocks students of opposite genders from living in the same dorm suite or apartment. It stemmed from a proposed 32-space pilot program at the Chapel Hill campus. Navigating the various attributes and beliefs that make us different from others can be tricky in the nonprofit workplace, but doing so is critical to leading effectively.